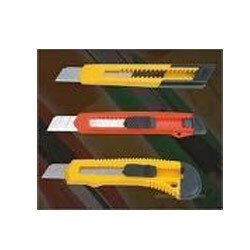 We are actively occupied in offering Stanley Heavy Duty Safety Knife. Due to high demand, professionals make these products in varied specifications that meet on customer’s demand. With our expertise in delivering high quality heavy duty hobby tools, we offer our customers an exclusive range of Knives and Cutters, that are designed to perform under extreme conditions. Available in casing of hard metal or plastic cover their blades are made up of high tensile sharpened carbon steel material. The range of Slitter Knives With Complete Knife Assemblies manufactured by us can be availed by our customers in a host of varieties, shapes and sizes. 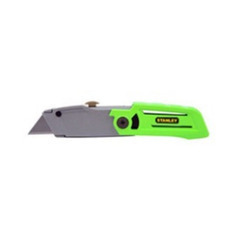 These knives are popular owing to their compatibility with most popular re-winder and sheet cutting machines.